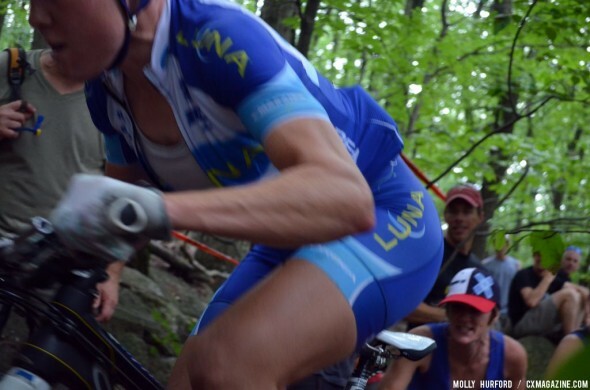 While MTBer/cyclocrosser Todd Wells had an early gap that looked simply unassailable, it was the young Stephen Ettinger who charged up to Wells’ wheel along with Jeremiah Bishop in the last two laps of the race. With one to go, Ettinger (who helped Geoff Proctor coach a ’cross camp last summer) and Wells had dropped Bishop, and Ettinger capitalized on his slight downhill advantage and dropped Wells with plenty of time to celebrate his win. 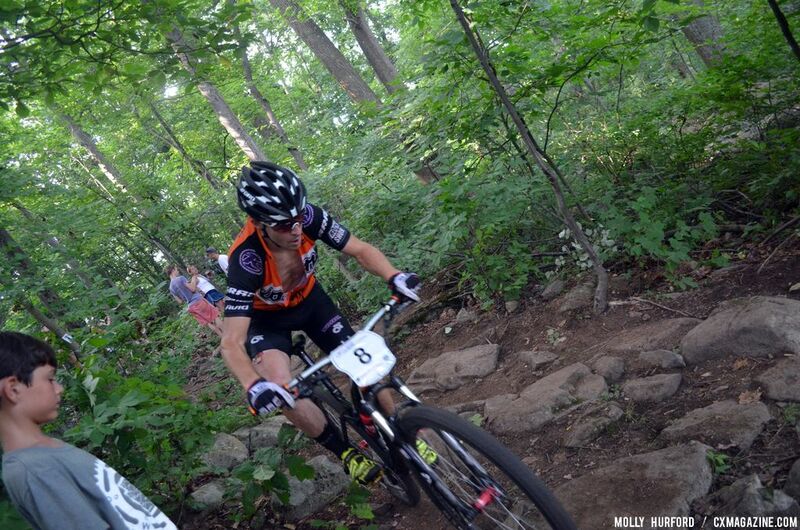 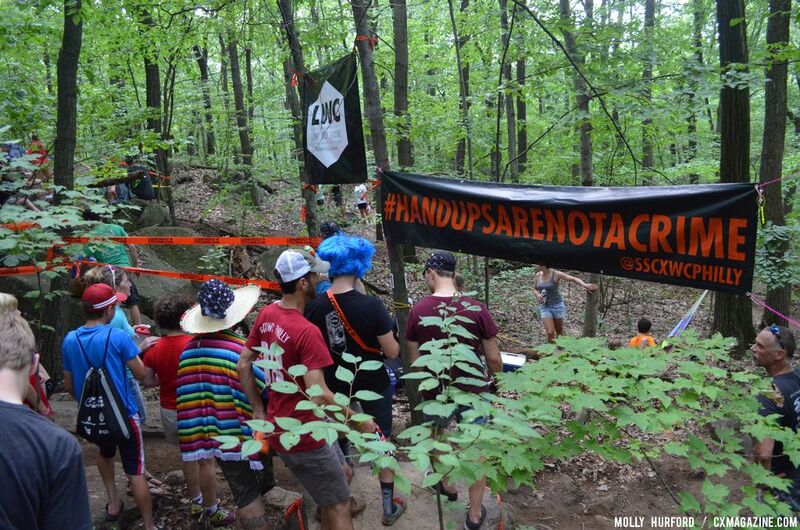 Northwest-based MTBer-turned-’crosser Spencer Paxson took fourth place, and Justin Lindine took ninth. Wells chatted with us after the race, and the former National Champ (of XC and CX!) 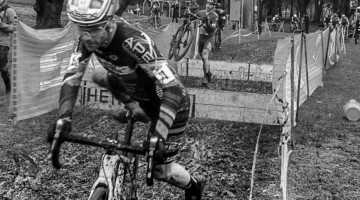 mentioned that he’d be returning to the cyclocross circuit by November, and plans to take on ’cross Nationals in January. 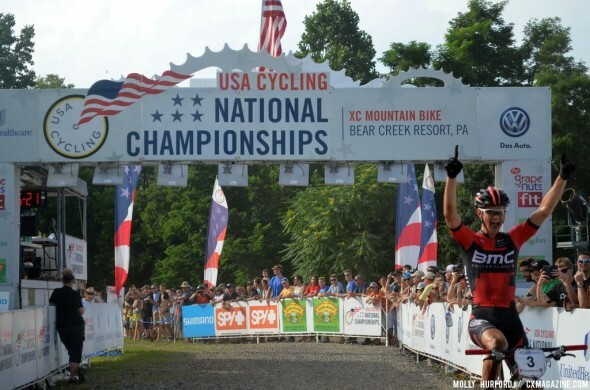 Paxson, thrilled with his result here at Nationals, also told us that he’s planning an even bigger cyclocross campaign than previous seasons for Kona Racing. 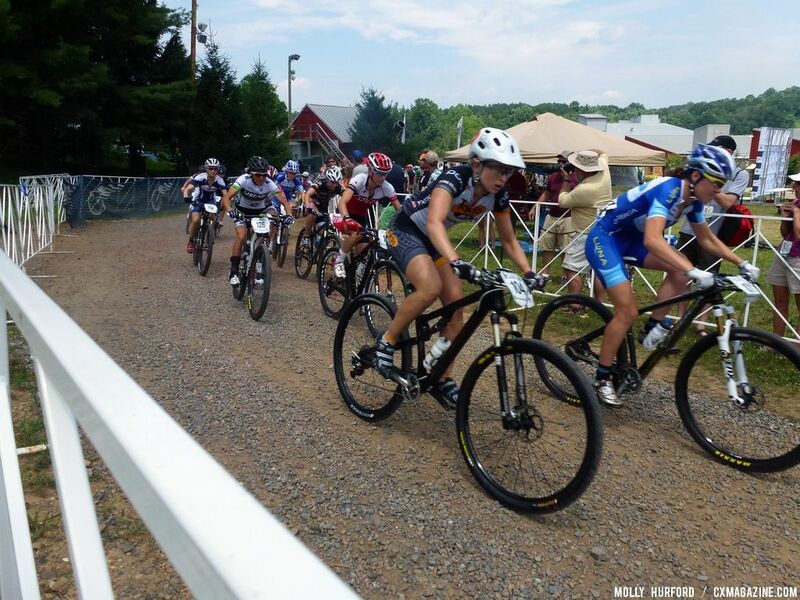 In the women’s race, Lea Davison, who will be hosting a clinic for young women at Providence Cyclocross Festival this fall, was simply unbeatable, taking the lead within the first minutes of the race and never looking back. 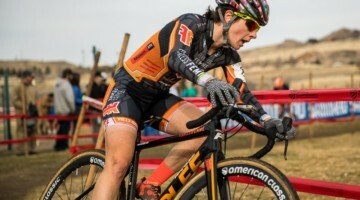 The cyclocross favorite for the win, Georgia Gould (featured in Issue 21 of Cyclocross Magazine), had bad luck early on and flatted on the first lap, dropping back to nearly last place. 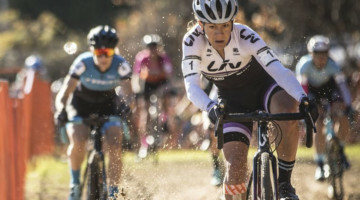 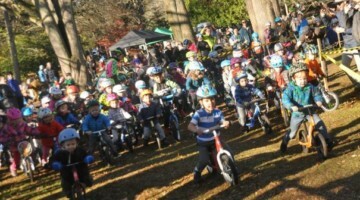 However, while Davison took first and Pua Mata took second, cyclocrosser Mary McConneloug snatched up third place, and Gould terrorized the back of the field as she charged from a mid-twenties placing to sixth place within five laps. 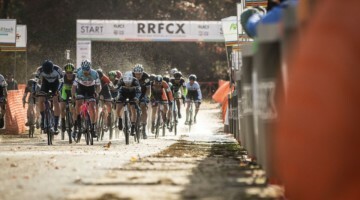 Other cyclocrossers in the race included Teal Stetson-Lee, who took ninth, and Mo Bruno Roy, who took 12th. 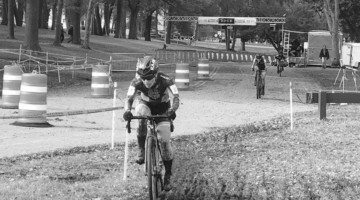 A cyclocrosser took top podium spot in the Cat 1 25-29 Women’s field earlier in the day, as C3’s Arley Kemmerer (interviewed in Issue 21 of Cyclocross Magazine) took the win in a dominant fashion. 17-18 Cyclocross Junior National Champion Ellen Noble, profiled in Issue 20 of Cyclocross Magazine, took second place in the Cat 1 singlespeed women category.